Thousands of Minnesota families could lose great public school options in 2016. 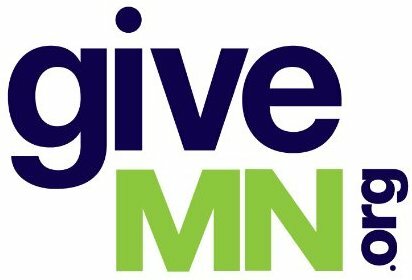 On Jan. 6, a Minnesota administrative law judge will hear new Minnesota Department of Education proposals that could unwisely reduce and restrict school choice for thousands of families. Despite good intentions, MDE’s proposed revisions of state integration rules do not provide clear guidelines for schools, remove options for families of color but not white families, and increase financial inequities between district and charter public schools. Minnesota allows white families to select public schools that are virtually all white. Many families do this. For example: the Anoka-Hennepin District is 75 percent white; Elk River Public Schools, 90 percent white; Lakeville, 85 percent white; Pierz, 97 percent white; Princeton, 95 percent white; Stillwater, 86 percent white; Waconia, 93 percent white; and Westonka, 91 percent white. However, MDE’s proposed new rule takes away the option from black, Hispanic, Asian-American or American Indian families that want to enroll students in public schools that serve mostly students who share their background. Bill Wilson, former Minnesota Human Rights commissioner, is very troubled by the proposed changes. Because he is African-American, Wilson was forced to attend an inferior school when he grew up in Indiana. He founded and directs Higher Ground Academy, a charter school in St. Paul that has won local, state and national awards because of its record with students, virtually all of whom are African-American and from low-income families. MDE’s proposed rule says that district or charter schools that enroll 20 percent or more students of color must develop plans that would change the racial composition of their schools. Those plans must be approved by the MDE. But the proposed rule does not include criteria that MDE would use to review plans. For example, the plans would require academic goals. But MDE does not say how much progress is required for it to approve the plan. The proposed rule also increases financial inequities between district and charter public schools. To implement their plans, traditional district schools would receive 70 percent of their funds from the state Legislature and 30 percent from local property taxes. But charter public schools cannot levy property taxes, so it’s not clear how they would raise 30 percent of the money to fund the changes that MDE demands. Many charter advocates question whether MDE has the authority to include charters in the proposed rule change. More information about MDE’s proposals is here: http://bit.ly/1JIR8Ud. Some have suggested sending inner-city students to suburban districts. That should be an option. But research conducted for MDE shows mixed results for this program. Some years, students transferring to suburban schools made more progress on statewide tests, some years the same and some years less than those who stayed in city public schools. Minnesota must do more to improve schools serving students of color. But increasing financial inequities and reducing options, especially when those options have outstanding results, is not helpful. The administrative law judge should reject MDE’s proposed rule changes.